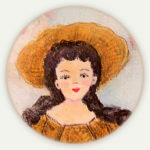 At times items that I have for sale on Etsy, let it be “a Botánica”, or “an e-Stamp” get picked picked to be featured in a treasury from another Etsy seller like myself. 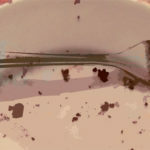 These treasuries are curated by these sellers and to have an item featured is really an honor and it also helps promote beautiful unique items for sale to the internet community. 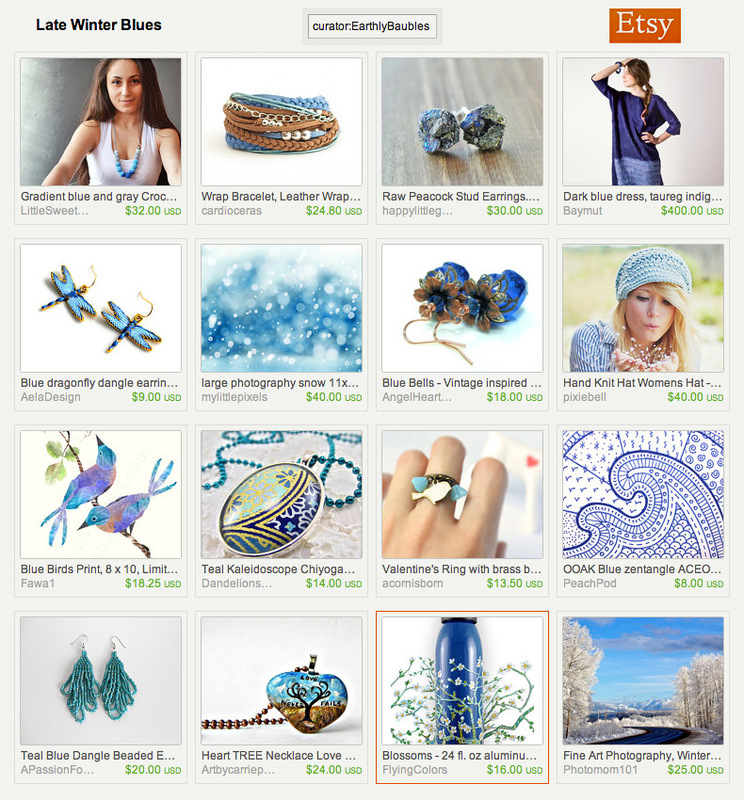 Suzanne from “Earthly Baubles” did a great job in selecting and putting together “LATE WINTER BLUES”. 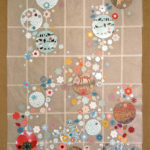 I was lucky to have “my water-bottle Blossoms” chosen to be featured among all these beauties in this treasury! 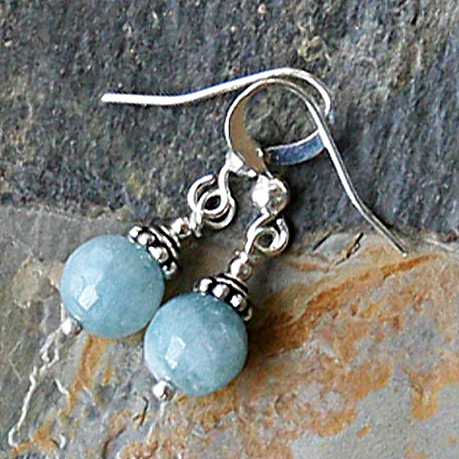 I love these light blue Angelite earrings Earthly Baubles has in her shop. She says that this color reminds her of the glaciers of her childhood home in Alaska!